Back in June, Penny from the Alexander Residence sent me a new app for review. 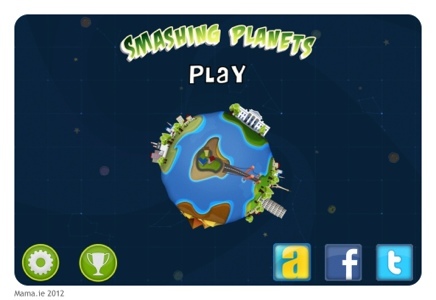 Smashing Planets is from the developers AppCrowd. In this game, you are tasked with defending your planet from evil space invaders and meteors, determined to destroy you. 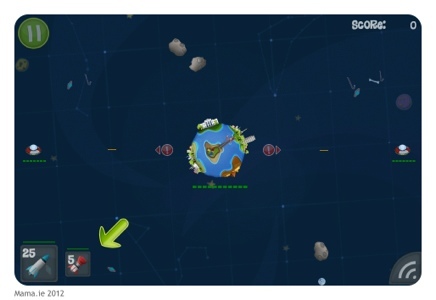 The game mechanic is simple – just draw a line on the touchscreen from your planet, indicating the path that you wish your missile to take. But watch out – while you’re concentrating on blasting the enemy spaceships out of space, make sure you’re not leaving your planet open to being destroyed by a meteor. This is a lesson I learned the hard way! 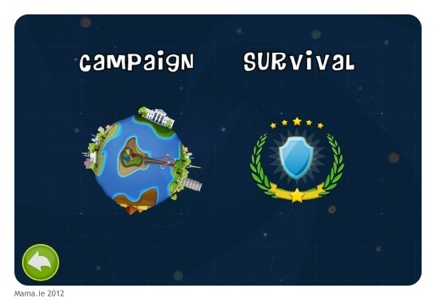 As you progress through the 16 levels (with more to come) in the main game, you gain access to better weapons, which help you in your mission. Just don’t get overexcited like I did and use them all at once. Save at least a few for the boss spaceships! Although he did try his best to get in on the action, this game is too advanced for Little Man. It’s more suitable for a older kid – or for a grown up like me! It’s a great little pick-up-and-play game, bound to keep you entertained while passing away some time. Be warned though. It is slightly addictive! 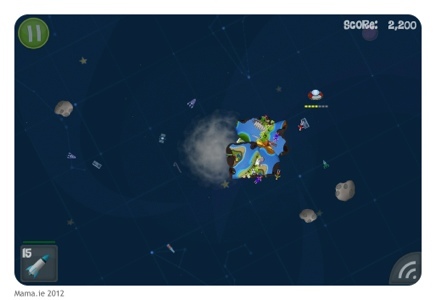 Smashing Planets is available on the App Store for just €0.79, and it works on both iPad and iPhone: Smashing Planets. It’s also available on Android and Windows Mobile. Check out the AppCrowd site for all the necessary download links. I received a free copy of this app for review. However all opinions are honest and my own.